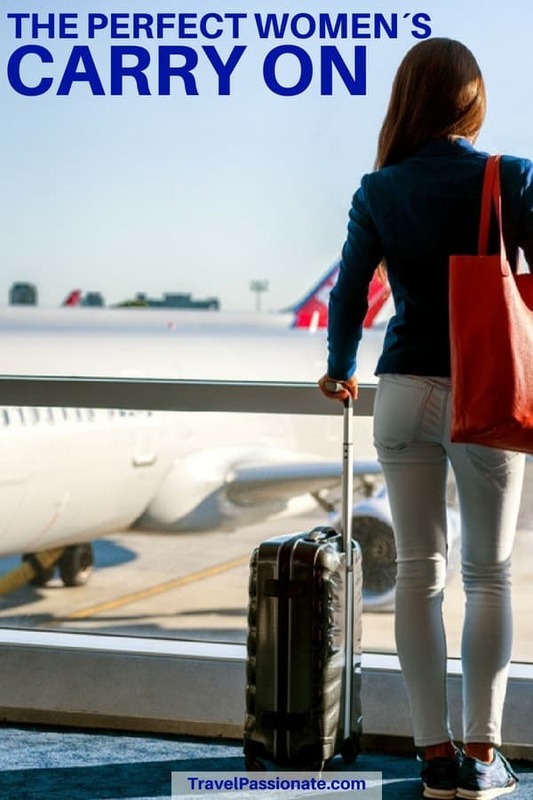 If you are on the hunt for the best women’s carry on bag then you have come to the right place, as this guide takes you through everything you need to know when purchasing the best women’s carry on bags. Of course the very best carry on bag for a woman needs to be both stylish and practical whilst fitting in everything you need for your trip. Consideration needs to be given to your preference for a suitcase or backpack as well as whether practicality or fashion is your priority. I have put together this guide to help you find the best carry on bag for women. It contains everything you need to know when purchasing the ultimate carry on bag including information on all the current best carry on luggage brands. I have also checked out a ton of reviews to see what everyone is currently recommending for the best women’s carry on luggage bags. 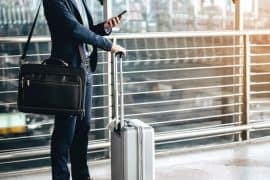 Whether you are after the best luggage for international travel, the best carry on luggage for business travel or the even the best lightweight carry on luggage, below I will provide you everything you need to know in order to make the right choice for you. Don’t have time to read the guide? 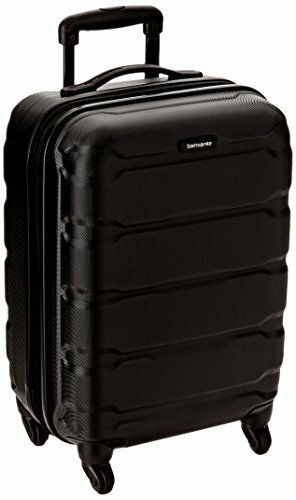 Well my pick for the best women’s carry on bag is the Samsonsite Omni PC hardside spinner. For a hardcase suitcase this is pretty lightweight so it will protect your items without weighing you down. It’s also expandable and I love the 360 spinner wheels to making it super easy to get around. Read below for my full review on the Sasonsite Omni. 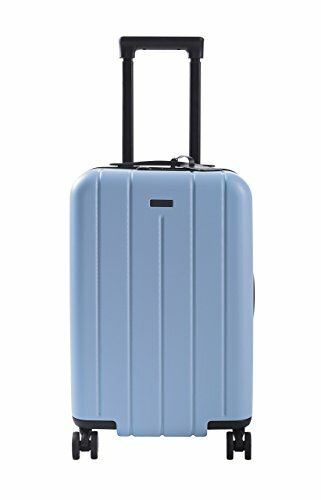 The Samsonite Omni PC Hardside One Size Spinner is a fantastic super lightweight case for women on the search for the best international carry on luggage at an affordable price. With an extremely scratch resistant mirco-diamond texture on the exterior of the case, this top carry on luggage is sure to withstand all the usual wear and tear inflicted by harsh airport elements. Not only is this case super durable it also looks elegant and stylish. This bag is also great for keeping your things organized with a full zip interior, divider and cross-straps to ensure everything stays where it is supposed to. With added expansion, all your belongings will fit comfortably in the case while still being able to separate items for extra protection or to make them easily accessible during flights. Other features include a retractable handle, lightweight spinner wheels and a side mounted TSA lock for extra security while travelling. All this as well as the 360 spinner wheels makes this a great and easy option for carry on luggage. This carry on bag on wheels would suit people wanting to look professional and stylish as well as keep all their belongings organized and well protected. 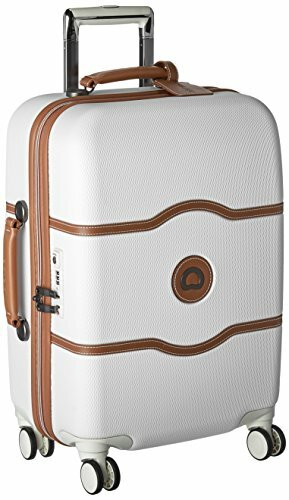 This case is well recommended for women looking for the best carry on hard shell luggage option but still wanting a lightweight bag. The Desley Luggage Helium Aero is a fantastic hard case bag which is TSA approved and a great choice as one of the best carry on luggage women will just love! The Delsey carry on bag is a great size and is reasonably lightweight and durable. Made from 100% polycarbonate which is super resilient to cracking. For the security conscious female travellers there is a side mounted TSA lock which is designed for airport personal to open your bag without damaging it. Women will love how easily this carry on is to manoeuvre around the airport, one of the best roller carry on luggage option in these reviews. The double spinner wheels as well as the two-position handle system make getting around a breeze. This is a perfect choice as the best carry on luggage for ladies wanting to get around the airport quickly. Other great features include the 2 inch expandable pocket perfect for women to store those souvenirs they purchase whilst travelling as well as the two extra-large fully lined pockets inside the case perfect for organising all your belongings. There are two side handles perfect for carrying the case when required such as lifting it into overhead bins or in and out of the car. This is a great mid-range carry on bag women are going to love and it also comes with a ten year warranty for peace of mind. 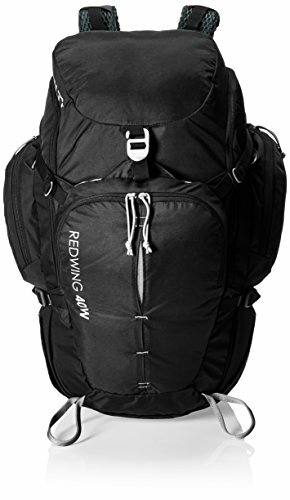 The Kelty Redwing Backpack 40 has been designed especially for women and is an ideal choice for women looking for the best carry on backpack for women. This Kelty backpack has a women’s specific waistband and shoulder straps are contoured for comfort. Other features of this best cabin backpack include upper and lower side pockets, which can be used to store long items such as hiking poles. Considered design of this Kelty women’s backpack keep straps tidy while in use and you have the option of removing the hip belt completely. The suspension system of the Kelty travel backpack is ridged and light, and the straps and back panel are padded and meshed for cooling. However, this pack is sized, the shoulder straps are non adjustable, only accommodating torso’s 14-18 ½ inches in length. Versatile enough to take on a plane or into the outdoors, this medium sized pack is a perfect choice as one of the best travel packs for women. 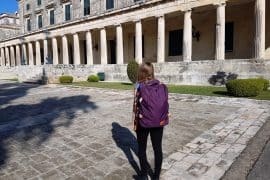 The Osprey Farpoint is considered as not only one of the best women’s carry on backpack options but also one of the best Osprey women’s backpack. Backed by the Osprey “All Mighty Guarantee”, Osprey state that they will repair any damage or defect to this Osprey carry on for any reason free of charge – whether it was purchased in 1974 or yesterday. They claim if they are unable to perform a functional repair on your pack, they will happily replace it. 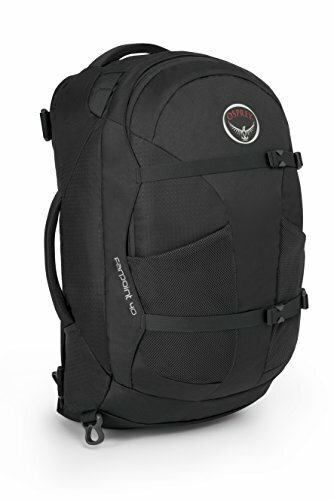 This Osprey travel bag is a good size for travelling, one of the best travel backpack carry on options available. The features of this panel backpack include a laptop and tablet sleeve, external compression straps, stowaway straps for travelling and carry handles. The suspension system is a light wire frame with a mesh back panel to keep you cool while wearing the backpack. This is a good pack for travelling, not too big, with solid features. 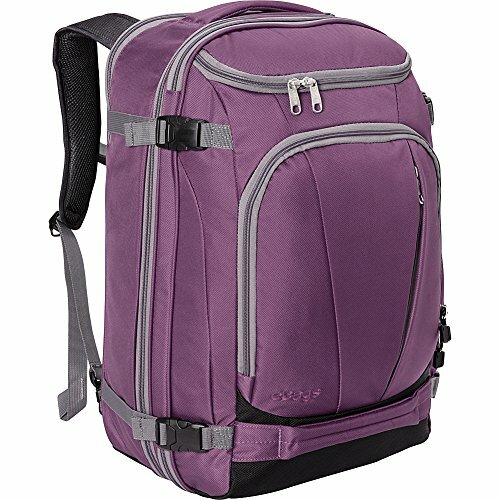 The Osprey travel backpack is a good choice for women after the best travel backpack carry on option. The Mother Lode Weekender Convertible backpack is another great backpack for carry on. This non-traditional back-pack is more like a suitcase with shoulder straps, perfect for the woman who likes a backpack but wants to keep organized. This backpack can be carried over the shoulder using the larger shoulder strap, or on your back using the smaller shoulder straps. This pack also includes carry handles, several outside pockets including a laptop sleeve able to accommodate a laptop or tablet up to 19”, the only thing missing are water bottle pockets. This best backpack for carry on luggage is easy to use and opens like a traditional suitcase, into two halves. The deeper half is separated into two compartments with straps to keep you clothes in place and a small zippered pocket at one end, while the other half has a zippered mesh cover. This is a good choice if you are after the best compact carry on luggage. 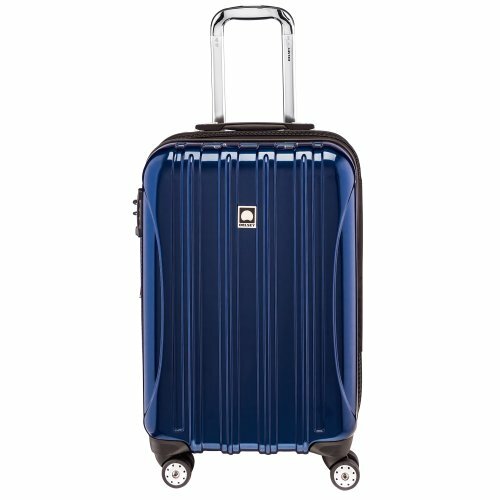 The Travelpro Maxlite 4 is an ultra light expandable yet fashionable suitcase available in a range of color choices and is a great choice for the best soft sided carry on luggage. It features water repellent coating throughout the interior and exterior to help protect your belongings in the chance of spillages or unexpectedly getting caught in the rain. The telescopic handle along with the high performance ball bearing in-line wheels makes for easy mobility when getting through busy airports and car parks. Perfect for the busy female traveler. This best rated carry on luggage has an exterior pocket for your airline ticket which minimizes the chance of misplacing it. The full size zippered lip compartment, zippered side mesh pocket and 2-inch expansion of the suitcase are great features to keep all your carry on organised and fitting nicely. Other great features of this carry on bag with wheels include the protective crash-guard wheel housings, Honeycomb framing system with an integrated bottom tray to provide lightweight durability and low profile carry handles. This is a great choice for women who want the best travel carry on bag, particularly a suitcase which is lightweight as well as coming in a range of great range of color options. It also is one of the best affordable carry on luggage options in these reviews. If you are in the market for one of the best carry on travel luggage bags packed with organizational features, then this is the bag for you! The interior includes Wetpak and mesh pockets to help separate all your luggage and makes for a much easier unpack once you are back at home. This case also expands for maximum packing space and has a large front-panel pocket with a quick-stash zipper which would be ideal for quickly packing in last minute things bought from duty free and will also keep your ticket safe. This best roller carry on bag also has four multi-directional spinner wheels making it super easy to get your carry on luggage through the busy airport. Made from rugged polyester and steel wire construction, you know that the tough build will keep all your belongings safe through the flight no matter how bumpy it is. This bag also has padded top and size carry handles making it comfortable to carry around where it can not be wheeled along behind you. Samsonite is well known for being one of the best carry on luggage brand around and they have done it again with this bag. Women will love the great range of bright colors this best travel carry on luggage comes in and with great organization features, this is a perfect choice when looking for your next carry on bag. If you want the best budget carry on luggage as well as one of the best stylish carry on luggage options you will love the Chester Carry-On Luggage bag. This bag offers amazing value for price with the effortless handling and unbreakable build, this is a purchase you won’t regret. The four multi-directional silent wheels make it so simple and smooth to get this suitcase to roll in any direction and any type of terrain. This best carry on roller bag has 100% aluminum telescopic handle leaves you with minimal weight on your arm and has two lock positions giving you fantastic control over moving the case around. Made from 100% polycarbonate hard shell, it is lighter than aluminium (perfect if you are after the best hard shell carry on luggage which is light) and even more durable and flexible than plastic. It is also water resistant so you don’t have to worry about unexpected rain or drink bottle spillages. It also features top and side easy grab handles, TSA approved lock, two spacious compartments, removable nylon laundry bag to separate dirty and clean clothes and dual compression straps to keep your belongings in place and maximize space. This case is sure to withstand the harsh elements of airports and would be perfect for anyone who spends a lot of time travelling and wants one of the best hard case carry on luggage options currently available. If you’re a woman who wants the best looking carry on luggage as well as the best luxury carry on luggage then you want this bag! This bag is an elegant looking yet easily maneuverable carry on suitcase with fantastic unique features. The most impressive feature of this cute carry on bag is the Stop and Go brake system which allows you to ultimately lock the wheels on your suitcase when it is stationary. 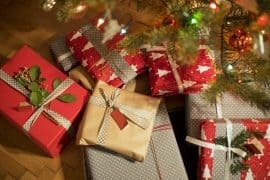 This will prevent it moving around on airplanes, buses or trains when you don’t want it too but if you need to quickly move, you can still roll the bag along on the back two wheels. This carry on bag also looks fantastic with the clean curves and soft leather trims on the exterior, and the fully lined luxurious red interior that has two packing compartments with zippered dividers to help keep everything in place. Other great features of this bag are the silent running, Japanese Hinomoto spinner wheels and 100% Virgin Makrolon polycarbonate build which gives it extreme temperature and impact resistance. Delsey is well known for being one of the best brands for carry on luggage and this bag is no exception. This is a great bag for anyone who is looking for a stylish and deluxe carry on bag with a sturdy build. This is one of the best high end carry on luggage options in these reviews. If you are a woman who likes to be super organized with your packing and want an extremely lightweight bag that is easy to transport, then this is the bag for you. This is the best lightest carry on luggage option in these reviews. With fantastic organization features such as a secluded laundry compartment and interior category compartments for things like chargers, socks and undergarments, you can keep all your belongings in the right place making them so easily accessible. This bag also has a packing checklist that is permanently embedded into the suitcase! 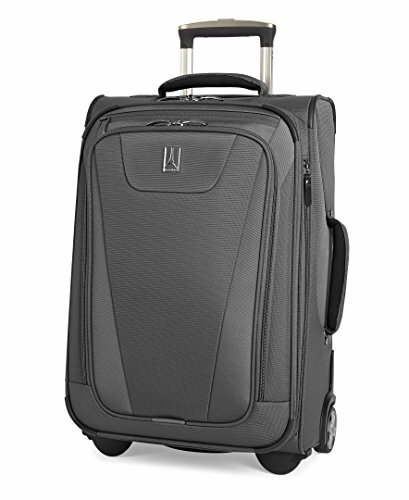 If you want one of the best rolling carry on bag options you will love the 360-degree durable spinner wheels and 100% aluminum telescopic handle make it so easy to maneuver this bag through busy airports. The rubberized push button handle also adds to the enhanced comfort of this bag. This best carry on rolling bag also has compression straps in the main compartment to keep everything in place, top and side easy grab handles, reinforced impact-resistant corners and 4 molded side feet to help keep the bag protected. This carry on bag would suit travelers that like to keep everything organized and don’t want to have to worry about any potential damage during their visits abroad. 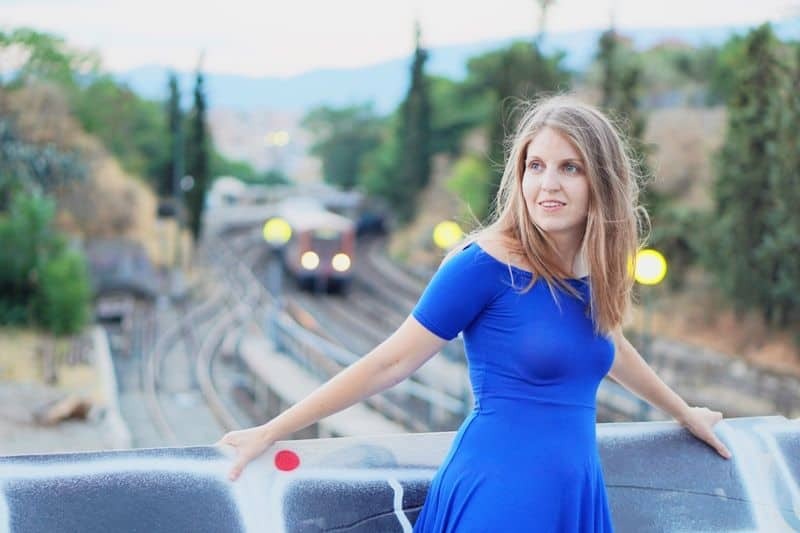 You might also be interested in the best travel wallet for women. What makes the best carry on luggage for women depends on a few things. Let’s look a bit closer at a few of the things you should keep in mind when you buy carry on luggage below. When purchasing luggage to use not just as a carry on bag, but also as your only travel bag, size really does matter. In fact it is the most important thing to keep in mind when your on the hunt for the best ladies carry on luggage. Unfortunately, there is no standard maximum size for carry on luggage so I highly recommend you double check your airline’s requirements before you travel. However all the luggage I recommend in this guide is generally accepted on most airlines as suitable cabin baggage. What is the best carry on luggage size really is a personal choice. Most women would say that the best carry on size luggage is the biggest carry on bag that meets the airlines requirements. Whilst other women prefer to pack super light and so prefer the smallest bag necessary. Before making your purchase, consider how much stuff you like to pack and what size baggage you will need. 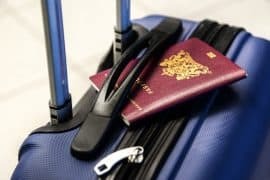 In the reviews below are some of the best large carry on luggage options as well as the best small carry on luggage options. So whatever your preference no doubt there is something perfect for you! With airlines being strict on the weight of carry on baggage it is super important to choose the lightest carry on luggage which meets your requirements. Even some of the best cabin luggage can be heavy eating into your precious baggage allowance. If your bag is over the limit you may be asked to check your luggage in which can add an unexpected expense. 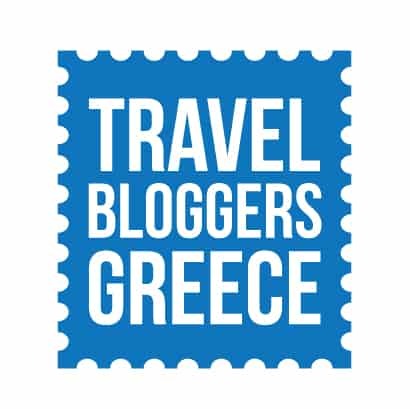 In the below reviews I have included the best light carry on luggage and the table above includes the weight of all luggage reviewed below. Which is the best carry on travel bag – a suitcase or a backpack? Well there are pros and cons for using either a suitcase or backpack as your carry on luggage. A suitcase can be wheeled and so in some respects is easier to transport, however this is not always the case. 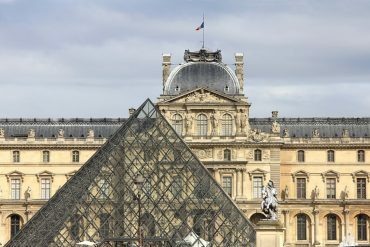 If you need to carry your bag up and down stairs or across cobblestones and through crowded areas a backpack is far easier to transport. Suitcases often weigh more than a backpack which is not ideal when you are travelling only with carry on luggage. 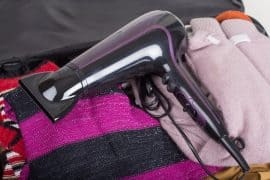 If you are only travelling with cabin luggage, you don’t want to be using precious weight on your baggage. Clothing and personal items are far easier to find and access from a suitcase. Suitcases usually just require a quick unzip to open, whereas backpacks require you to open various straps and compartments to find things. As to whether the best type of carry on luggage is a suitcase or a backpack is really a personal choice. 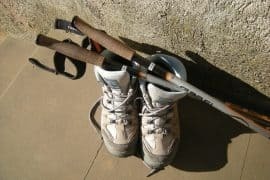 The reviews below include some of the best backpack for carry on luggage as well as some of the best cabin baggage sized suitcases. 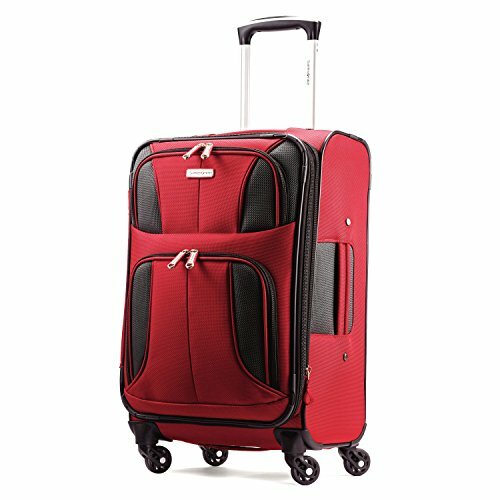 If you decide to go for one of the best carry on roller luggage options you will want to consider wheels. When wheeling a bag around a busy airport you want luggage that is easy to manoeuvre. Believe me if you want the best carry on bag for travel it is worth investing a little extra for this. Luggage that doesn’t easily go where you want it to will leave you frustrated and stressed before you even board your plane. Once upon a time the standard carry on suitcases just came with two wheels, now all the best rolling carry on luggage comes with four wheels. 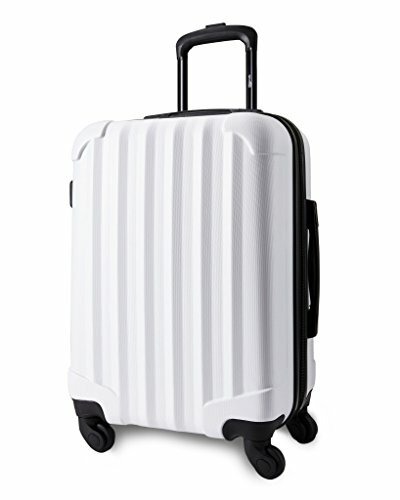 A two wheel suitcase, also known as rollers, require you to tilt it to wheel it and it doesn’t easily go around corners or through narrow spaces. Even the best wheeled carry on luggage with two wheels has a tendency to fall over when left unaided and are impossible to pull more than one. However there still are some advantages of using one of the best 2 wheel carry on luggage options over a four or more wheeled one. Two wheel suitcases are usually easier to pull behind you and quite often once you leave the airport you will tend to want to pull your case rather than push it. The best two wheel carry on luggage options tend to be able to handle cobblestones and uneven surfaces much better than other cases. Four-wheel suitcases, also known as spinners, are now becoming the standard and are far easier to manoeuvre around busy airports. The best 4 wheel carry on luggage easily move in any direction, including going around corners with ease. A light push on the handle is all that is usually required to move the suitcase around the airport and doesn’t require you to hold any of the weight. The best 4 wheeled carry on luggage are also far easier wheeling through a narrow plane aisle than two wheeled suitcases. Check out the reviews below for some of the best spinner carry on luggage. Suitcases with expandable compartments are great. The best expandable carry on luggage provides you with a place to store your various purchases during your travels. No need to buy an additional bag, you simply unzip the expandable compartment for more space. Some of the best carry on expandable luggage comes with various compartments and pockets for your smaller belongings. Perhaps you are looking for the best laptop carry on luggage? A common feature these days is a dedicated compartment for your laptop which is designed to keep your laptop safe and secure as well as easily accessible whilst travelling. If you decide to go for a suitcase you will need to consider whether a hard or soft cased one is better. Soft shell bags are more common and are much easier to squeeze into overhead compartments than the hard shell bags. The best soft carry on luggage usually comes with an expandable pocket, although this is also becoming true for hard cases too. The best hardside carry on luggage will provide better protection for your belongings. The disadvantage with a hard shell suitcase is that it is likely to weigh more than a soft shell case. 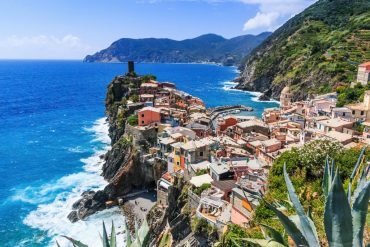 If you prefer a hard shell suitcase be sure to look for a lightweight one, as you don’t want to use too many of those precious kilograms for your suitcase in lieu of your items. In the reviews below are some of the best hard carry on luggage options as well as soft luggage options too. Regardless of whether you choose a suitcase or a backpack, It’s important that your carry on luggage has an easy to use handle. On suitcases some handles can be difficult to use in that they don’t retract quickly and easily which is not ideal when you are walking through a busy airport or trying to load your bag quickly on to an airplane. The best telescopic handles are tall enough to allow you to pull your luggage at a comfortable arm length while also contracting to mid-way. Backpack or suitcase, be sure that your bag has top and side handles in order to make it easier when loading into the overhead compartments. If you purchase a backpack you will need to ensure your pack is comfortable to carry. The best carry on backpack for international travel will have a good strap system which will spread the load of the backpack across your back, with most of the weight resting on your hips via the hip belt, some backpacks come with pockets in the hip belt for snacks or small phones. Things to consider when looking at straps include padding, breathable fabric, are they removable, adjustable, do they stow away for plane travel and do they have any pockets. Backpack straps are adjustable around the hips, the shoulders, and even across the chest to keep the shoulder straps in place regardless of body shape. A water-resistant bag gives you extra protection when travelling in wet weather. Whilst water resistant bags aren’t designed to be water proof, they do give you that extra bit of time to seek shelter or pull out a rain cover without have your personal belongings getting wet. Hello John, I have a couple of luggage as I travel often but my favorite so far is the Samsonite. What is the best bag that fits into carry-on luggage on an airplane? Jenny, all the above backs suit perfectly on an airplane. I personally use the Samsonite.